Just hours before it suspended further payments to subscribers, promoters of shadowy deposit money scheme, MMM, warned Nigerians not to be “unnecessarily greedy”. In an update on its Twitter page at 6:30 p.m. Monday night, MMM Nigeria said interested participants should exercise caution and use only their “spare money”. “MMM has always advised that you use your #SpareMoney. Use your #SpareMoney and #SpareMoney only. Don’t be unnecessarily greedy,” it tweeted. On Tuesday morning, the scheme put up a disclaimer on its website informing Nigerians of a temporary freeze on payments to existing subscribers. It blamed a “heavy workload” being experienced by its servers and the panic caused by the Nigerian government and media for the development, but said it will be back by mid-January, 2017. It also continued to encourage new users to sign up and existing ones to continue making donations. MMM allows Nigerians to sign up and pledge a monetary donation to people who are in need of it. The pledge is made with a guarantee of 30% appreciation fee that is essentially an interest on the specific amount donated. The promoters of the scheme have yet to explain how they manage to pay a 30% interest within 30 days —which is more than three times the return on a fixed deposit account. The model has remained a mystery even for market analysts and economics, especially as it does not involve the firm receiving funds directly from subscribers. In July, the Securities and Exchange Commission warned Nigerians against MMM and other questionable varieties of it. About a month ago, the House of Representatives urged an immediate crackdown. But the scheme found an easy ride in Nigeria, given the country’s lingering economic crisis. An estimated 3 million Nigerians are said to have signed up for the scheme within the past 12 months. 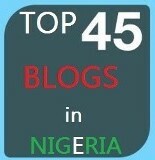 For the past one month, the organisation’s website has become the 5th most-visited in Nigeria. But many Nigerians who took to social media to vent their exasperation over the announcement were immediately assured of a return of the scheme in no further than 30 days’ time. “Be rest assured that we will be back, bigger, more sustainable and stable,” MMM Nigeria tweeted after a deluge of enquiries from panicking Nigerians. In fact, the scheme said those who expected to be paid this month will see their interest grow by nearly double by the time it returns to normal operations in January. “Dear Mavrodians, the one month freezing of confirmed Mavros is a step to ensure the sustainability and stability of the MMM Nigeria system. “There is no better time to PH (provide help) than now when you can earn 50% more of your amount of PH (provided help). There is nothing to worry about,” MMM said.